This year’s rental fleet consists of Polaris Outlaw 450’s, Outlaw 525’s, RZR-S’, RZR 4 EPS’, and RZR XP’s. 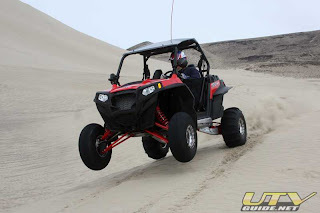 The entire rental fleet is meticu­lously maintained to like new condition to ensure guests have the best possible experience in the dunes. To check prices and availability or to reserve your ATV rental today contact Performance Motorsports at (208) 390-3223.